The district is pleased to let you know that water tests for Sunnyside K-8 have been completed. The test results show that the quality of the water coming from the drinking faucets is now better than the EPA recommendations for schools. Therefore, the district is turning the drinking faucets back on in your schoolâ€™s common areas (hallways, cafeteria and/or gym). The new water test results for your school can be found at the PPS Healthy and Safe Schools website. Click on the water quality link, scroll down to your school and click on the 2017 results PDF. drinking, and signs will make that clear. Drinking fixtures that require more lead remediation will be turned off and not returned to service until that work is completed at a later date. In-Classroom Drinking Fixtures Will Be Replaced as Needed. In an effort to reduce bottled water use, PPS crews will accelerate the plan to return in-classroom drinking fountains to service. Re-testing of these fixtures is now underway and will continue as the school year begins. If the in-classroom drinking fountains test results show that the quality of the water coming from the faucets is below the PPS action level of 15ppb, they will be returned to service. If they fail, they will remain shut off until plumbing crews return to the school and replace them. After replacement, they will be retested and returned to service if the results come in under the PPS action level. The district plans to have this work finished by January of 2019. Food preparation faucets and sprayers have also been replaced, tested and may now be used without restriction. Please note that this applies to the kitchen fixtures specifically signed as â€œFor Food Preparation Onlyâ€. With the common area water fixtures turned on, there is reduced need for bottled water in schools. The district will review each school on a case by case basis and begin removing bottled water in the coming weeks. In the past many PPS drinking fixtures used a filtering system. PPS is moving away from this approach because most of our water quality issues can be solved without a filtered system. PPS defines a drinking fixture as drinking fountains and kitchen food preparation fixtures. 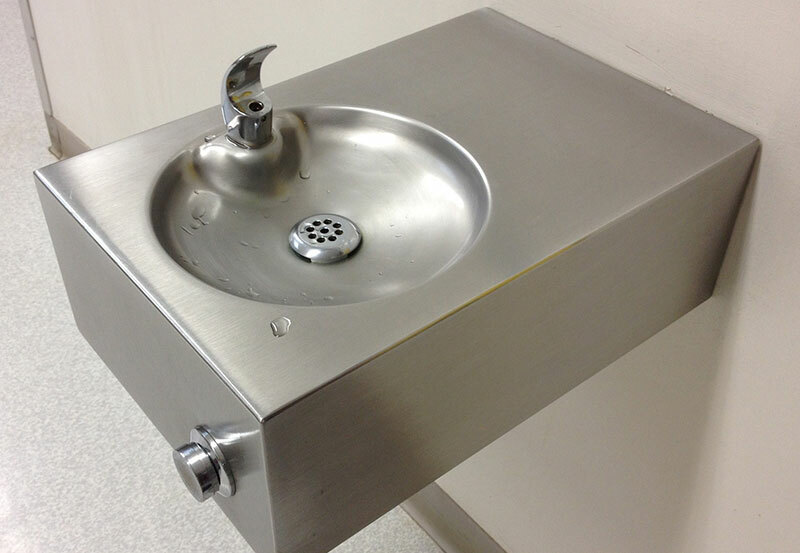 Drinking fountains include bubblers, coolers, and bottle fill stations in both common areas and classrooms (See above section on In-Classroom drinking fixtures). Kitchen food preparation fixtures include kitchen faucets, sprayers, ice makers, faucets in career and technical education (CTE) classrooms, and faucets in staff lounges or lunch rooms.